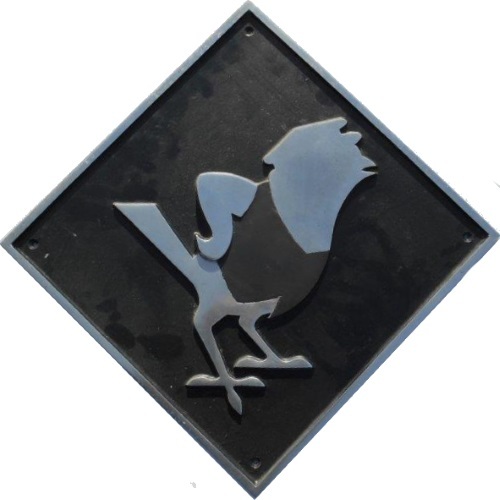 Lot 20 Alloy Diesel Depot Plaque depicting a "COCKNEY SPARROW". This was the logo for Stratford Diesel Depot. Size 18" x 18". Ex Stores condition.